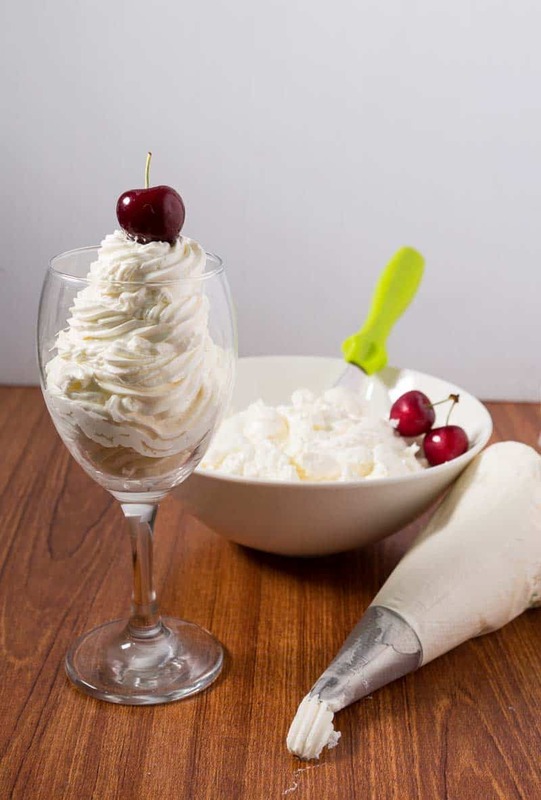 One buttercream recipe with many different flavors. I believe in using tools that help simplify the cake decorating process. 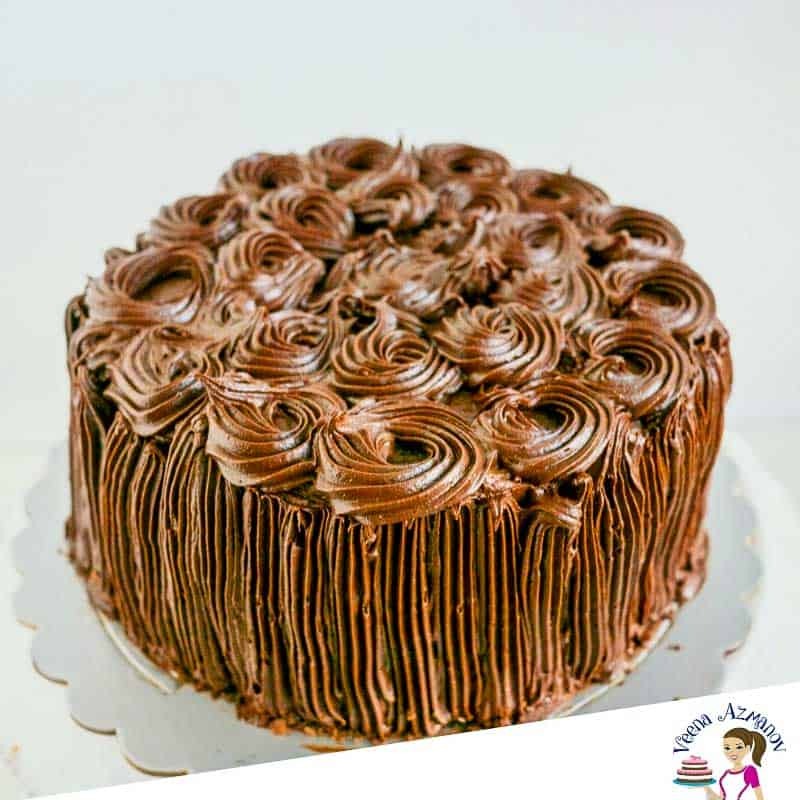 By now you must have seen this recipe – one buttercream recipe with many different buttercream flavors. In that, I shared how you can create many different flavors from just one simple basic recipe. 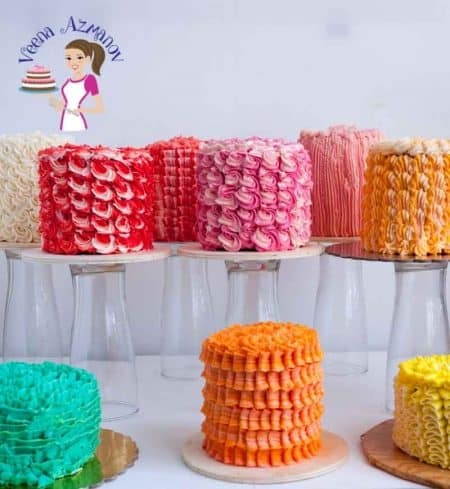 And it includes all American buttercream, Swiss meringue buttercream or Italian meringue buttercream. When do I use it? Well, when I have my velvet American buttercream frosting already made and I don’t mind that it has meringue powder in it then I just use some flavor ingredient in that recipe and create a new flavor. For example, add 1/2 cup Kahlua to 4 cups of already prepared buttercream frosting. 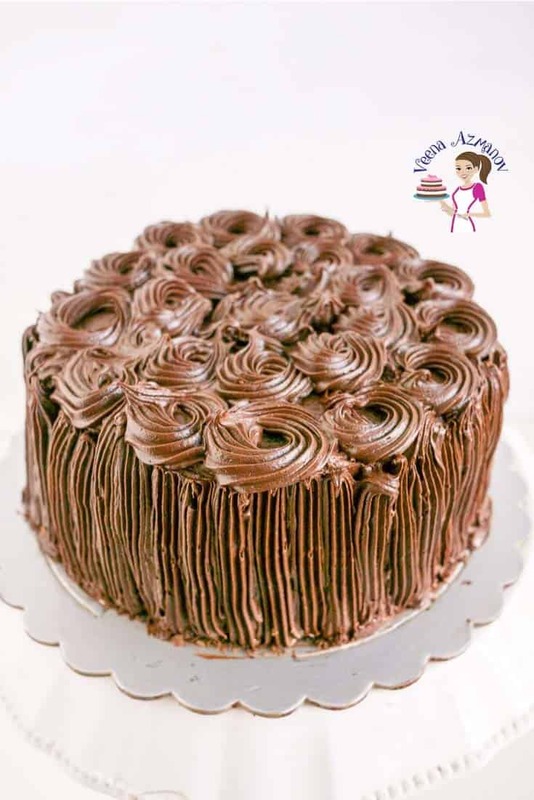 However, making a flavored buttercream from scratch has the advantage that you can control the amount of liquid which means you can control the consistency of the buttercream. 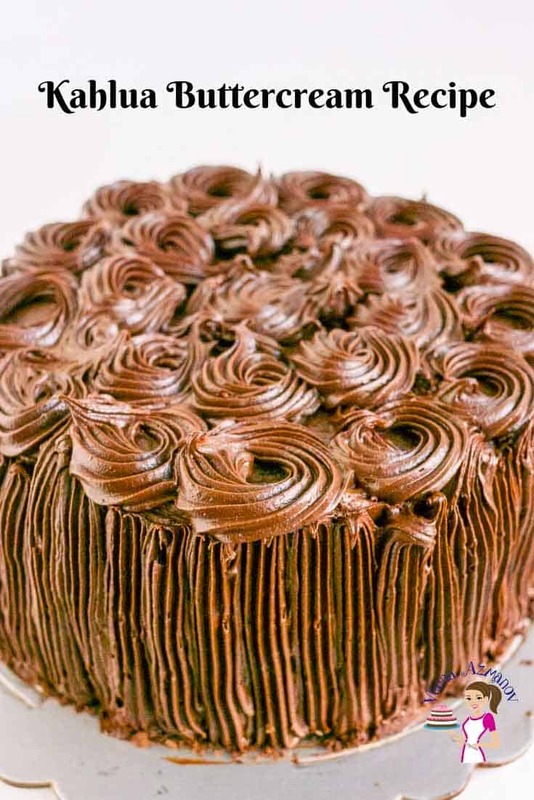 So, the next time you want to make a delicious Kahlua buttercream to pipe pretty swirls on a cupcake or cake make it from scratch using this recipe. 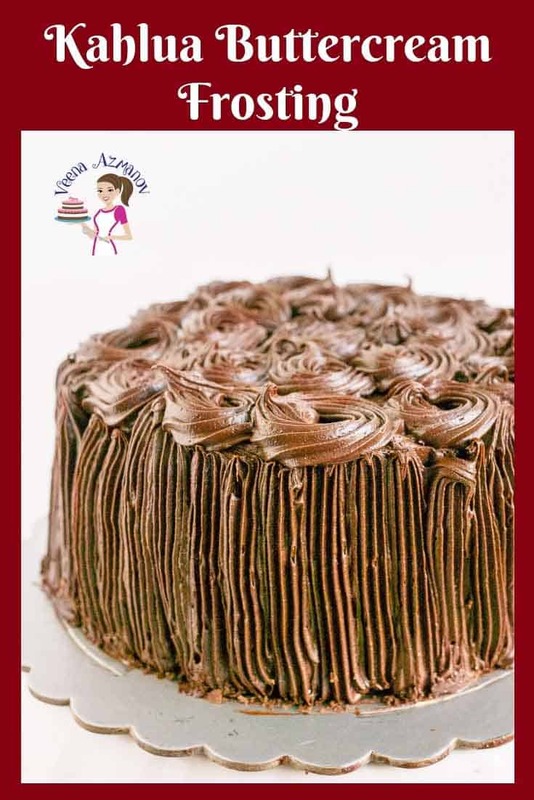 This one has the perfect consistency you need to pipe swirls, or borders around a cake. Melt chocolate in a microwave safe bowl or double boiler – set aside to cool. Gradually add the powdered sugar and continue to cream until light and fluffy. Lastly, combine the cooled melted chocolate. Melt chocolate in a microwave safe bowl or double boiler - set aside to cool. 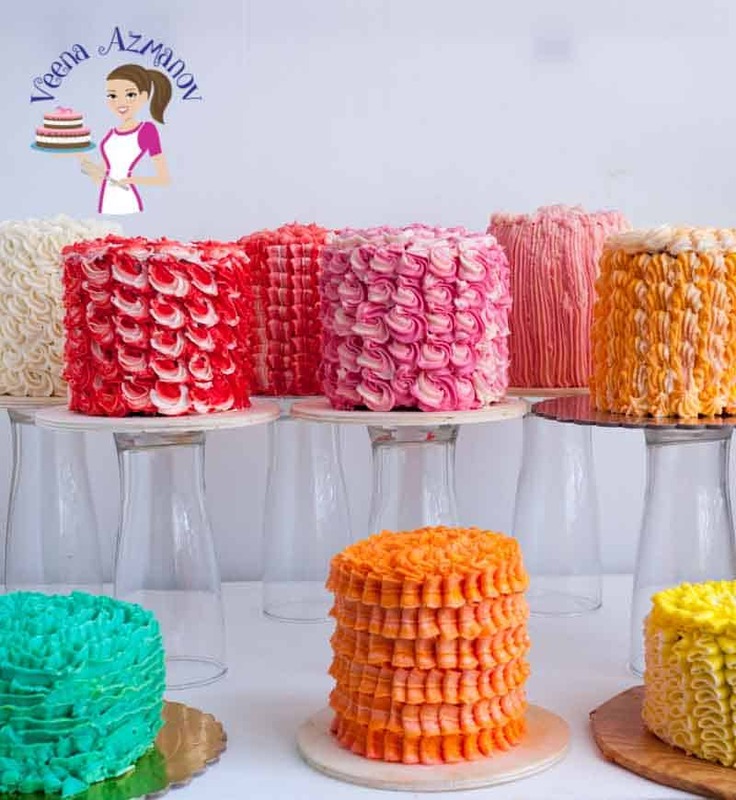 Are you looking for the best buttercream, frosting or filling your next cake or cupcakes project. Perhaps you may like to see my collection of recipes here. The cake is almost too pretty to cut! I do prefer homemade frosting to the boughten kind. There is a huge difference in taste and texture. When I make a cake from scratch I like to take the time to put on a special frosting. 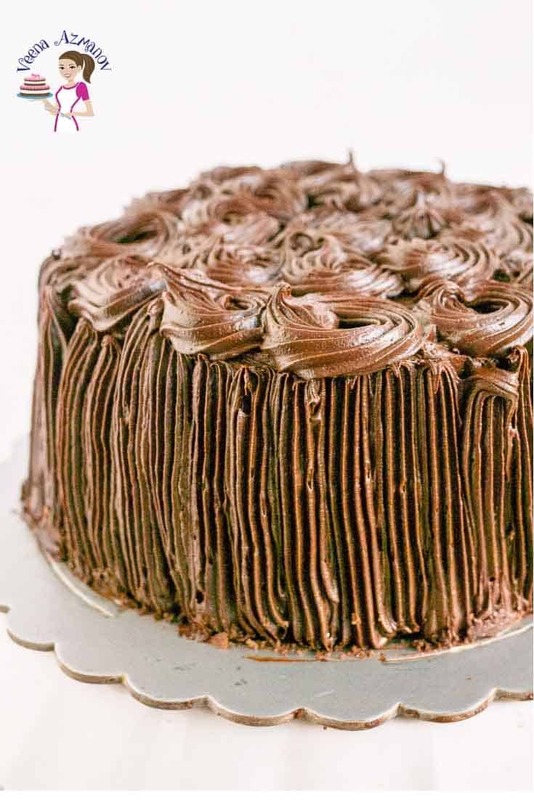 This kahlua frosting would be the star versus the cake. But that’s okay. It’s like wearing spectacular jewelry — the dress is forgotten. I’ve already pinned this recipe. Absolutely, Marisa. 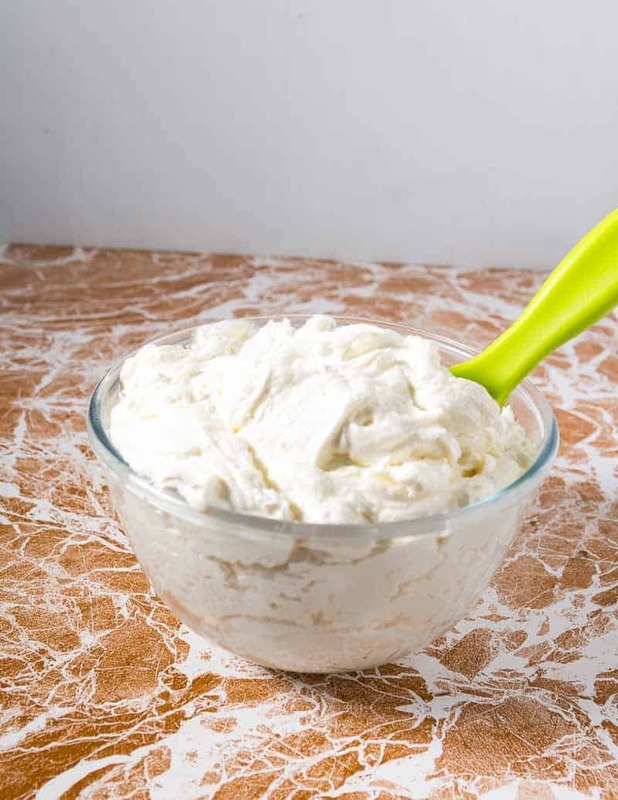 Homemade frosting takes very little time so if you take the trouble to bake the cake, homemade frosting is always the best way to go. This looks awesome. Love the flavours…and your cake looks perfect. 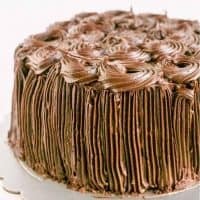 I always use buttercream when I decorate cakes and cupcakes. So easy to make, and great to work with. Much quicker than Swiss meringue, and easier to make too. I don’t know how you come up with such delicious ideas for cakes?! I love Kahlua flavored everything but buttercream is really taking it to the next level! Thank you, Denise. Me too. Love Kahula everything. This looks so decadent! I’m a little wary of American buttercream to be honest, I always end up putting too much confectioner’s sugar to get the consistency I want. I default to Swiss meringue I have more success with it for some reason. I can imagine it will be amazing flavoured with Kahlua. I might give this a try though, I can imagine the dark chocolate would cut through the sweetness. And I bet this would be perfect with chocolate cake! Thank you, Jolina. 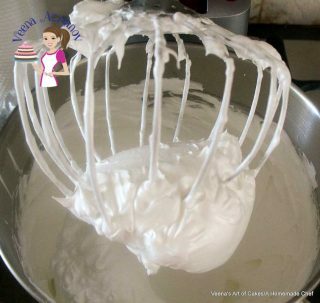 yes, Swiss meringue is my favorite buttercream too but when I want something quick and easy. This is it.